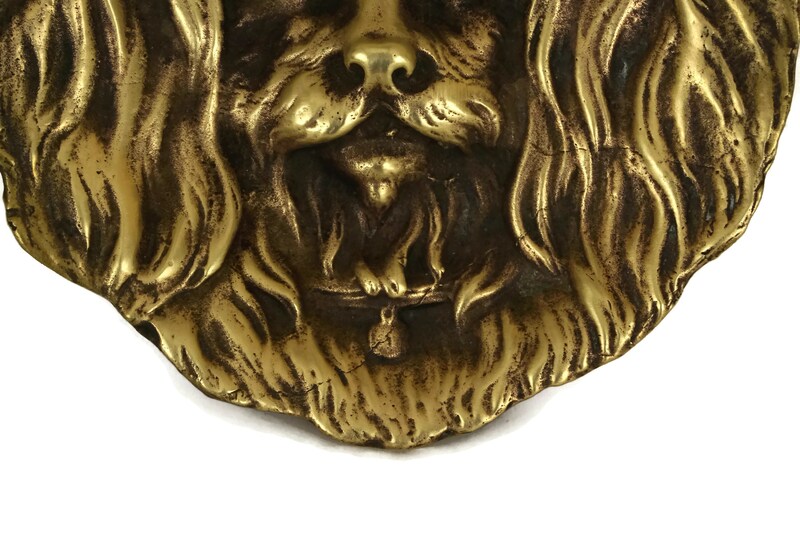 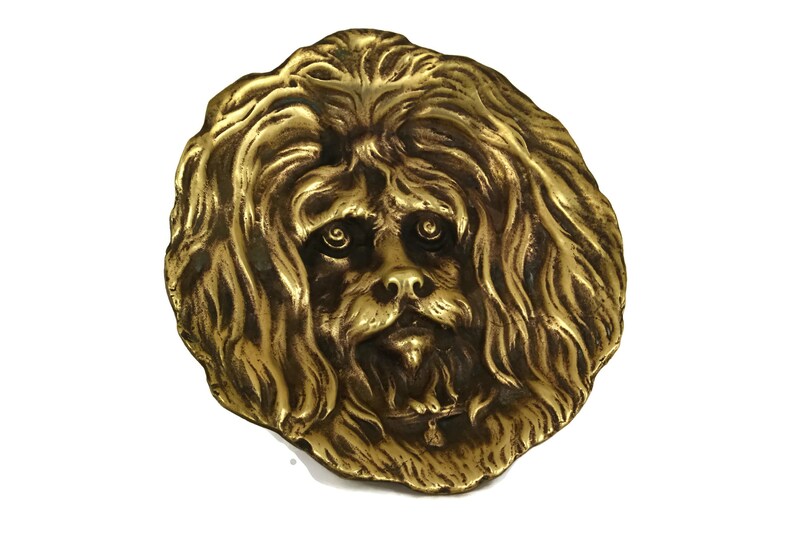 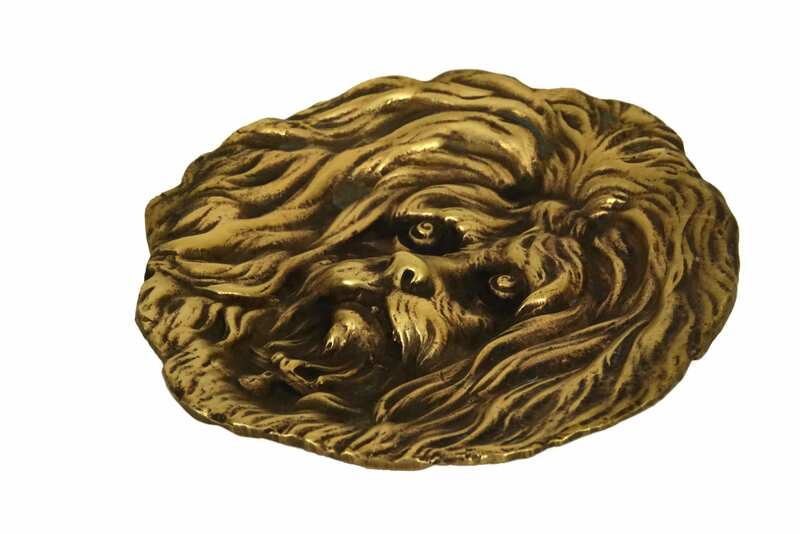 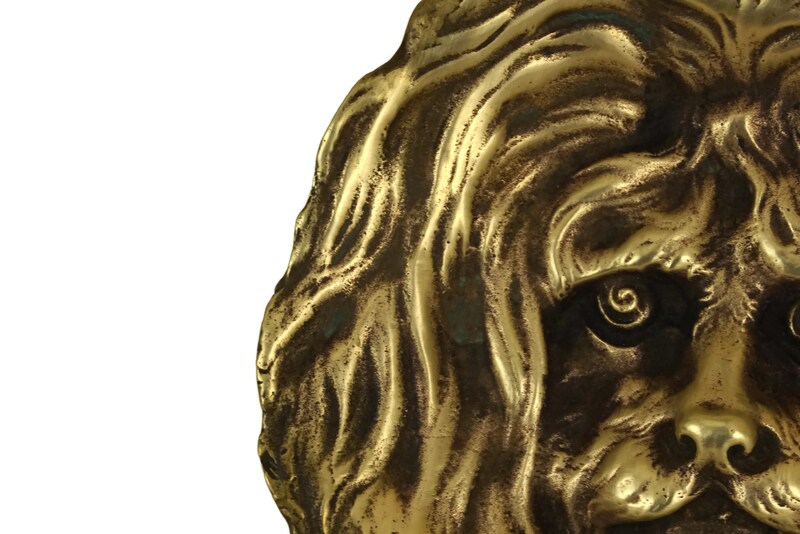 A charming vintage French bronze coin featuring the portrait of a long-haired dog. 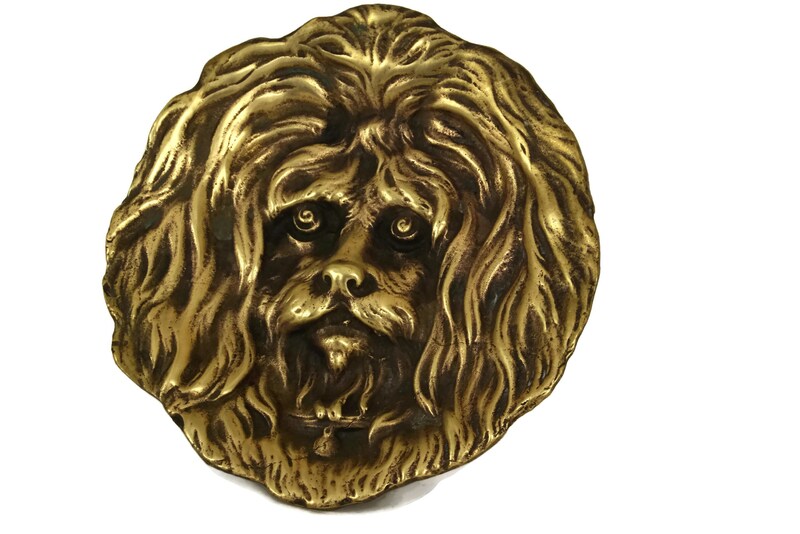 The tray has a round shape and has been decorated with a finely detailed raised relief design of a dog wearing a collar with a name tag. 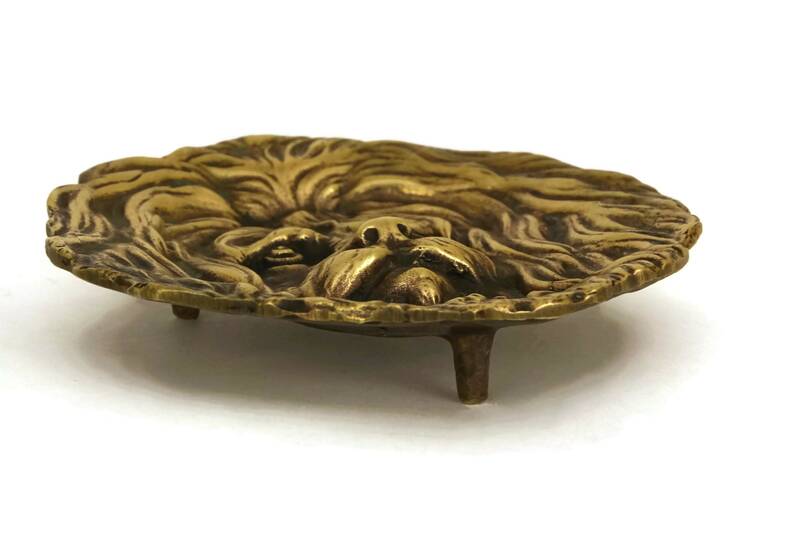 The ring and jewelry tray has been cast with fine details and is filled with vintage charm. 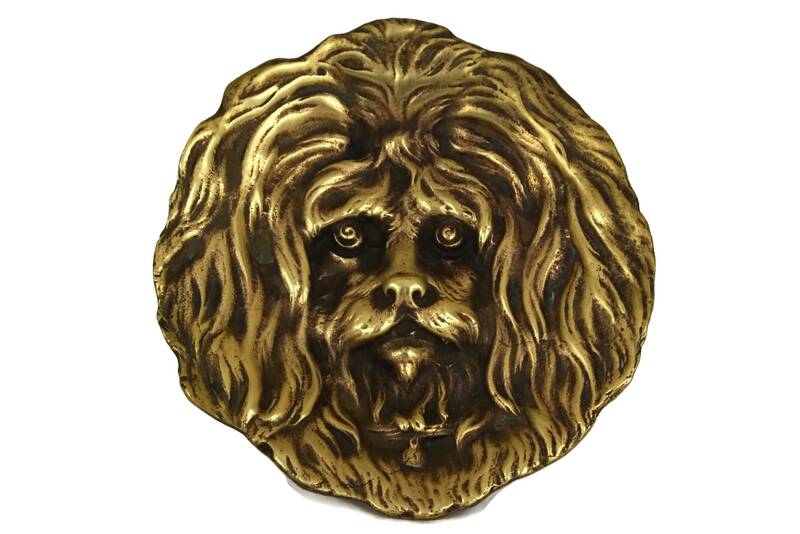 It rests on three small legs. 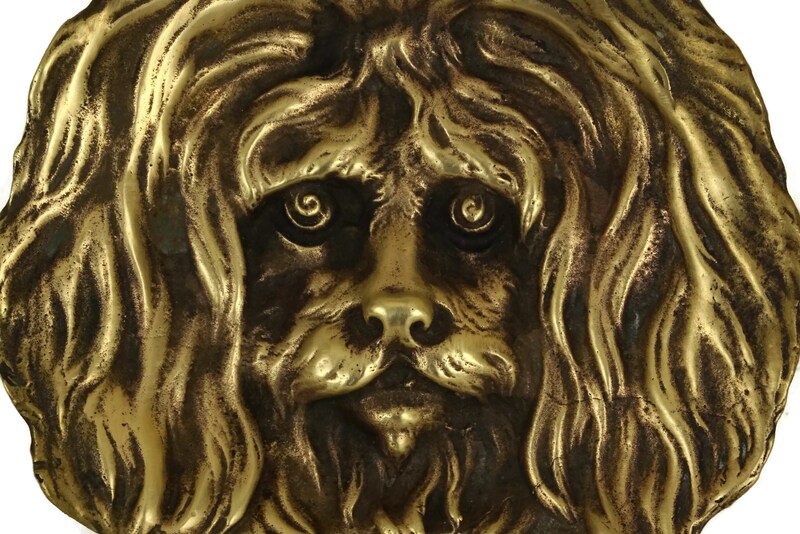 (11,5 cm x 2.5 cm). 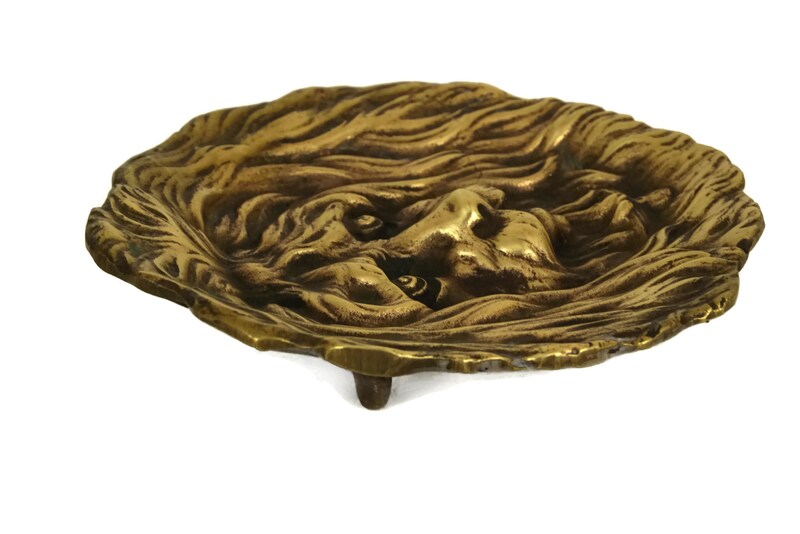 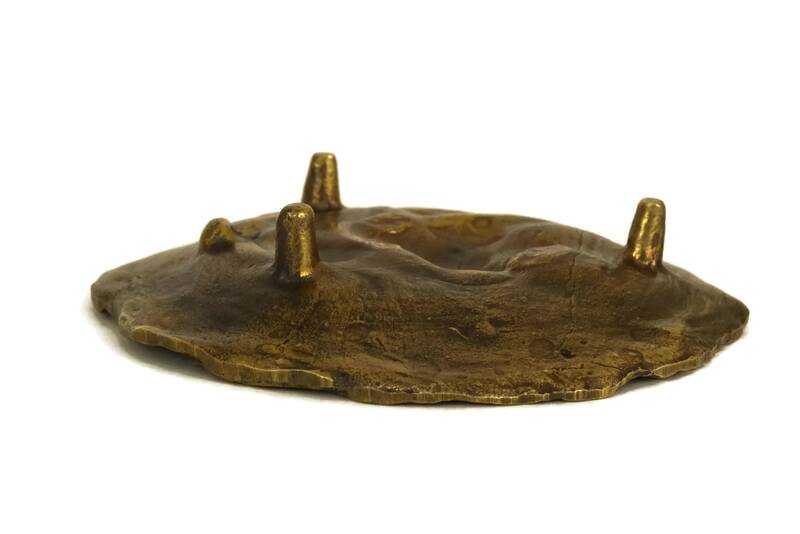 The bronze coin dish is in very good condition with light wear and a rich aged patina.